Kate must find this enigmatic man to finalize the deal. But, in her journey from the West to the East, she will progressively discover and understand the reasons, which have made Hans, leave his family and never return. A state-of-the-art 3D graphical adventure: each environment of the game benefits from deep and highly intricate graphical detail. Unique ambience: tracing Hans' footsteps, Kate will discover a magical world of robots and meet amazing characters in mysterious environments, settings taken from a bygone era in European history. Compelling and rich scenario: this third-person-perspective, puzzle-driven adventure introduces logical problem solving mixed with a complex and highly involving storyline to completely immerse the player! Syberia 2 will be the second and final installment of Kate Walker's joint adventures with Hans Voralberg. After leaving behind all her worldly possessions with the sole purpose in joining the heir of the Voralberg family on his journey, Kate's role will undergo a remarkable change. From being the pursuant, she becomes Hans' main acolyte, his support to attain the elapsed terra firma of the mammoths. The artistic approach initiated in Syberia will again take a significant presence in the sequel. 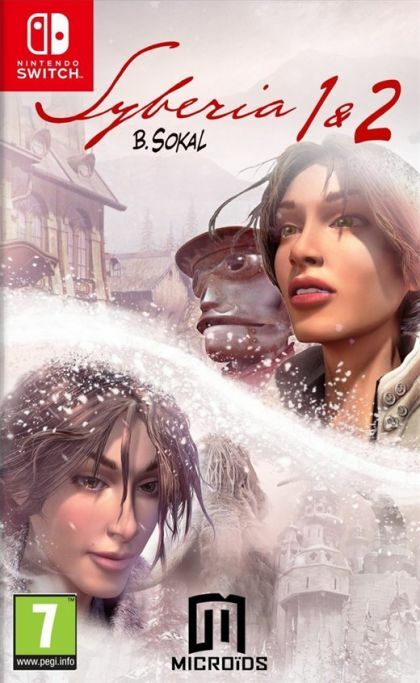 As noted by Benoît Sokal, author and artistic director : "Before being a game, Syberia is most notably a story. To express Kate Walker's adventures through a medium such as a Video Game allowed us to explore a totally new artistic expression, particularly in the relationship that has been developed between the player and the story. This relationship has revealed itself as being very intimate and it is something we want to make sure to keep with Syberia 2." A few improvements will be noticeable to Syberia 2's structure thus increasing the game immersion and to deepen the game experience. Some technical advancement to the graphic engine and added in-game animation will bring more life to each scene, as the game should boast a more dynamic global environment. Also, the conversations will be generated by an evolutionary dialog system and some movie-like camera angles will offer a totally new perspective to the player controlling Kate.